Ronald Noble asks if Nairobi massacre would've ended sooner in TX or CO.
camera (Jonathan Kalan/AP Photo) Kenya Civilians who had been hiding during a gun battle hold their hands in the air as a precautionary measure before being searched by armed police leading them to safety, inside the Westgate Mall, Sept. 21, 2013. Interpol Secretary General Ronald Noble said today the U.S. and the rest of the democratic world is at a security crossroads in the wake of last month's deadly al-Shabab attack at a shopping mall in Nairobi, Kenya – and suggested an answer could be in arming civilians. In an exclusive interview with ABC News, Noble said there are really only two choices for protecting open societies from attacks like the one on Westgate mall where so-called "soft targets" are hit: either create secure perimeters around the locations or allow civilians to carry their own guns to protect themselves. "Societies have to think about how they're going to approach the problem," Noble said. "One is to say we want an armed citizenry; you can see the reason for that. Another is to say the enclaves are so secure that in order to get into the soft target you're going to have to pass through extraordinary security." Noble's comments came only moments after the official opening of the 82nd annual gathering of the Interpol's governing body, the General Assembly. The session is being held in Cartagena, Colombia, and is being used to highlight strides over the last decade in Colombia's battle against the notorious drug cartels that used to be the real power in the country. The secretary general, an American who previously headed up all law enforcement for the U.S. Treasury Department, told reporters during a brief news conference that the Westgate mall attack marks what has long been seen as "an evolution in terrorism." Instead of targets like the Pentagon and World Trade Center that now have far more security since 9/11, attackers are focusing on sites with little security that attract large numbers of people. 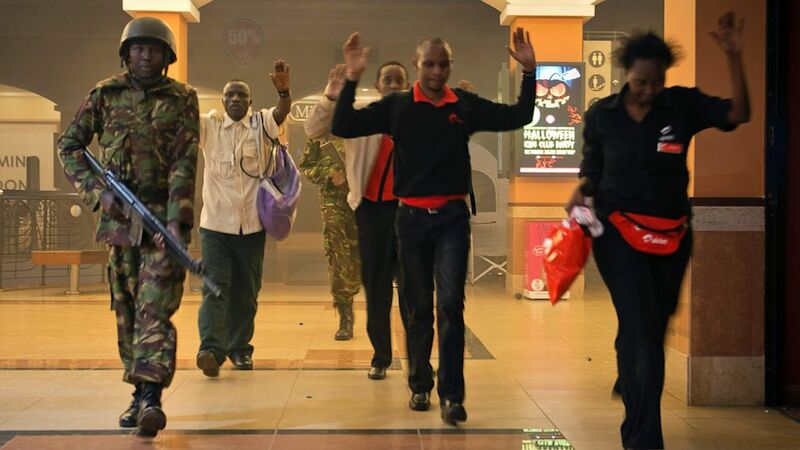 At least 67 were killed over a period of days at the Westgate mall, more than 60 of the dead were civilians. The Somalia-based al Qaeda-allied terror group al-Shabab claimed responsibility for the attack as it was ongoing but investigators are still trying to determine exactly who planned the strike, where they are and what is next for them. U.S. authorities in Uganda, fearing another similar incident in Africa, issued a warning late last week. Citing a recent call for al Qaeda "brothers to strike soft targets, to do it in small groups," Noble said law enforcement is now facing a daunting task. "How do you protect soft targets? That's really the challenge. You can't have armed police forces everywhere," he told reporters. "It's Interpol's view that one way you protect soft targets is you make it more difficult for terrorist to move internationally. So what we're trying to do is to establish a way for countries … to screen passports, which are a terrorist's best friend, try to limit terrorists moving from country to country. And also, that we're able to share more info about suspected terrorists." "Ask yourself: If that was Denver, Col., if that was Texas, would those guys have been able to spend hours, days, shooting people randomly?" Noble said, referring to states with pro-gun traditions. "What I'm saying is it makes police around the world question their views on gun control. It makes citizens question their views on gun control. You have to ask yourself, 'Is an armed citizenry more necessary now than it was in the past with an evolving threat of terrorism?' This is something that has to be discussed." "For me it's a profound question," he continued. "People are quick to say 'gun control, people shouldn't be armed,' etc., etc. I think they have to ask themselves: 'Where would you have wanted to be? In a city where there was gun control and no citizens armed if you're in a Westgate mall, or in a place like Denver or Texas?'" Prior to the Westgate attack, the gun control debate has been ignited time and time again in the U.S. in the aftermath of a series of mass shootings, including one in a movie theater in Aurora, Col., a suburb of Denver.